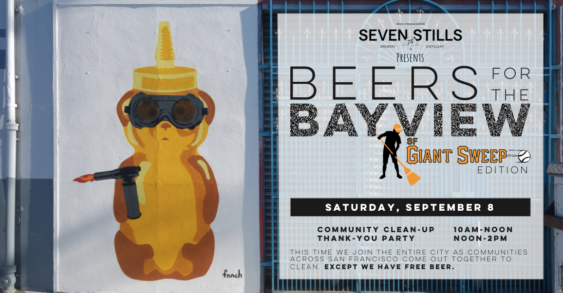 *Give two hours of litter removal, get two hours of free beer and food. 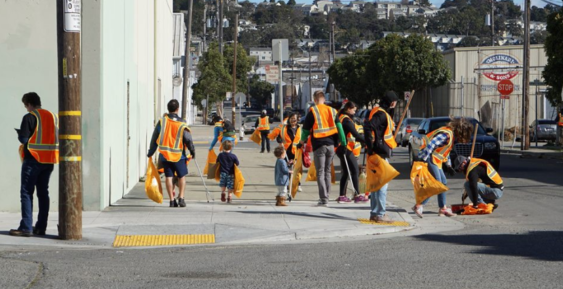 On September 8, the entire City of San Francisco will step out together to help clean the streets as part of the SF Giant Sweep “Love Our City” event. Meet at the warehouse at 1408 Yosemite at 10 am and help clean for 2 hours. Return to the Brewery (1439 Egbert) for a thank-you party with free food and beer. Come in comfortable clothes and closed-toed shoes. All other supplies will be provided. You’ll reply “Why yes! But did you get free beer today?” Then walk away victoriously….